Officials applaud 35 percent water use reduction in Santa Clara Co.
SANTA CLARA CO., Calif. -- City and water company officials applauded data released on Thursday showing that the Santa Clara Valley Water District reduced water usage by 35 percent last month, but emphasized the need for continued efforts to conserve. Customers used 35 percent less water than in June 2013, water district officials said. Between January and June of this year, water providers throughout the district reduced their water usage by 22 percent compared to the same time period in 2013, district officials said. 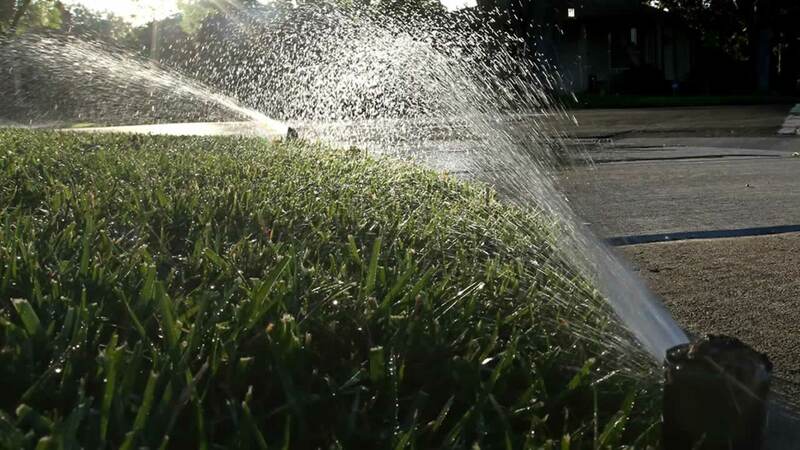 In March, the district's board of directors set a goal of reducing water usage by 30 percent throughout the county by the end of the year, according to district officials. The board also limited outdoor watering for residents to two days a week. While a strong El Nino is expected in the winter, "we don't have any guarantee that it'll rain or snow in California," water district director Richard Santos said during a news conference Thursday. "Even if we do we will be short on water,"
"If we get an above average rainfall this winter it will not rid us of the huge deficit that four years of drought has given us," Morgan Hill City Councilman Rich Constantine said. The water provider that saved the most last month was San Jose-based California Water Service Company, which saw a 40 percent reduction in water usage, according to the results. California Water Service serves customers in Los Altos and parts of Cupertino, Los Altos Hills, Mountain View and Sunnyvale. Palo Alto and Sunnyvale tied for second place based on the results conserving 36 percent of water last month. Santa Clara Mayor Jamie Matthews said the city is selling less water than it did in 1977 despite population growth. Also on the same track was the San Jose Water Company, the largest provider in the district, which is delivering less water than it did 20 years ago, company spokesman John Tang said. Advanced metering technology, which provides real-time data on usage, can help customers continue in their conservation efforts, Tang said. Both resources can help customers make "very wise decisions" on how they use their water, Tang said. Here are links to water conservation tips and rebate information from some of the Bay Area's major water suppliers. Sunnyvale Mayor Jim Griffith said Sunnyvale is working with the water district and Apple Inc. to expand its recycling water transportation system to the company's new campus in Cupertino, which is under construction. Milpitas saved the least water based on the June results, which showed its residents saved 24 percent compared to previous years. Milpitas engineering director Steven Machida said the city is working on switching its parks and community gardens to recycled water. So far, the city has installed five permitted recycled water fill stations and is set to build four more, Machida said. To learn how much water your city is required to cut back, click here. For water rebate information from Bay Area water suppliers, click here. And click here for tips on how to conserve water. To learn more about how to report water wasters #WhereYouLive, click here.